Jude Gallagher’s life has been a series of ups and downs. Growing up, she was blissfully happy. She had it all; a mother and a father who cherished her, a best friend by her side through both of their lives, and a glimpse at what true love looked like thanks to the relationship between her parents. And then it was all taken away. When the police showed up at her door with the news of her father’s death, Jude’s life changed in an instant. Her mother lost herself to her depression, leaving Jude to pick up the slack. In a matter of moments, she went from child to adult and had never been able to fully forgive her mother for that abandonment. Now, in the summer before her senior year of high school, and on the cusp of adulthood, Jude must come to terms with the truth of her existence amid the perils of growing up. Firebloods by Casey Hays takes a hard look at loss, love, and accepting who you are. Casey Hays is a marvel. Rather than force you to love Jude simply because she is a strong girl who’s been through a lot, Hays lets Jude be true to herself. This authenticity allows Jude to be flawed, unlikeable at times, and ultimately more meaningful and real. 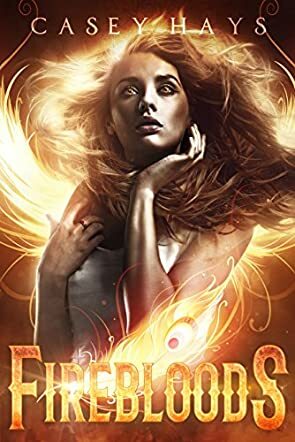 Jude struggles with her own coping mechanisms throughout Firebloods, and since Hays chose to use first-person narration you get this raw understanding of Jude that really brings the entire story together. With music playing such a central role in Firebloods, Hays’ inclusion of a prelude, various interludes, and a postlude brought a deliciously satisfying flow to it all. It’s clear that Hays put a lot of thought into the setup and plot, with each scene building on all the ones that came before. Using a science project to really delve into the mythos of the world was a masterstroke on Hays’ part, and it was particularly gratifying to reach the end and discover that breadcrumbs left at the very beginning were fully realized by the conclusion. Firebloods is one of the most perfectly paced books I’ve read in a long time. By the end, I was simultaneously disappointed to reach the final pages and left chuckling over the perfect ending.